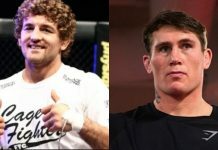 Darren Till, who will battle Tyron Woodley for the UFC welterweight title at UFC 228 on September 8, is huge for the welterweight division. So huge that he appeared to dwarf Woodley when they met face to face at a press conference this month. 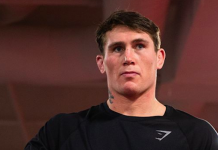 Speaking at a media scrum earlier this week, Darren Till admitted that even he was a little surprised by how much he towered over the reigning welterweight champion. “A little bit,” the Liverpudlian said when asked if the size difference surprised him (transcript via MMA Fighting). 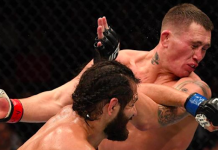 That being said, Till also divulged that he did his best to make himself look bigger when he squared off with Woodley, puffing his chest out and standing as tall as he could. 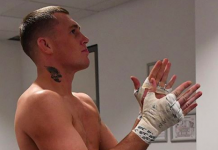 When it comes down to it, Darren Till doesn’t feel he’ll actually be that much bigger than Woodley on fight night. Woodley, he reminds, is not a small man himself. “I just think, with his top off, Tyron is a big guy. His chest is buff, he’s got big arms and huge legs. In the Octagon there will be a slight difference, but not massively because he is a big dude,” Till said. 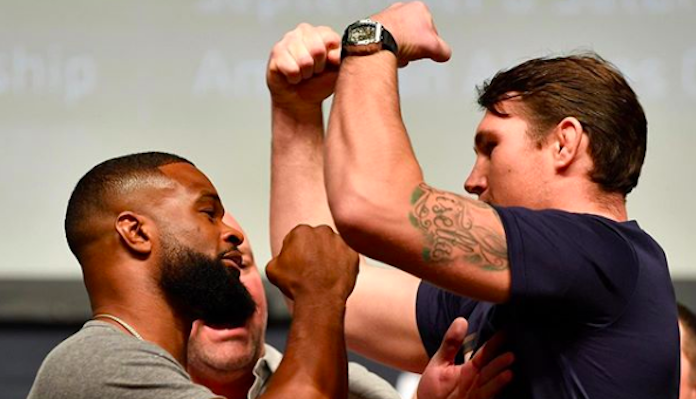 Who do you think will win when Tyron Woodley and Darren Till collide for the UFC welterweight title at UFC 228?